Join Luna and her friends for an exploration of the sky which includes phases of the Moon, seasons, constellations and planets. 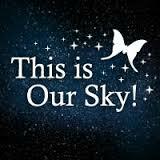 This is Our Sky! is a general astronomy show that contains elements of interest spanning a wide range of audiences. Family Audience / 5 yrs and above.